Upgrade, Leigh Whannell’s shockingly potent sci-fi actioner, didn’t gore a hole in the box office last year, but its critical acclaim hasn’t gone unnoticed. Just a few days after the Saw progenitor was revealed to be writing and directing The Invisible Man for Universal, The Hollywood Reporter is saying that he’ll also be working on yet another high-profile genre project, this one a remake of John Carpenter’s Escape From New York. Isn’t Robert Rodriguez directing that, you ask? Well, he was attached, as was screenwriter and Luther creator Neil Cross, but both appeared to have moved on. Whannell, who is currently only attached as a writer, is reportedly scrapping much of what came before in favor of his own vision. “One of Whannell’s goals is to avoid the bloated tentpole remake path that afflicted the reboots of other 1980s-era movies such as Robocop and Total Recall,” writes The Hollywood Reporter. That’s good news, and a sign that Whannell might try and preserve some of the low-budget scrappiness he brought to Upgrade, a Blumhouse project, for the remake, which the report says he may also direct. Also keeping us optimistic is original director John Carpenter’s involvement as an executive producer. Carpenter also produced last year’s Halloween remake, which, while not universally beloved, was at least a step up from the franchise’s previous forays into cults and Busta Rhymeses. “I found myself bitching all these years about them making another one,” Carpenter said of Halloween in 2016, “so with this one I thought, well, maybe I can get in and help and make something I’m proud of instead of sitting at home grumbling.” Attaboy. 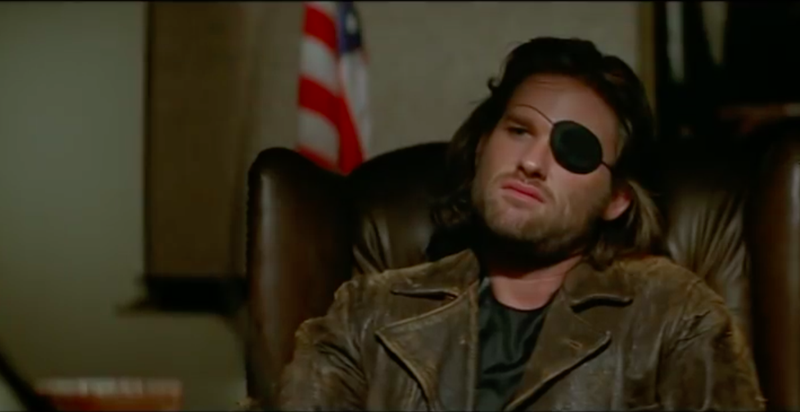 As Whannell decides whether or not to preserve any of these elements, he’ll also have to ponder who could possibly replace Kurt Russell as the iconically eye-patched Snake Plisskin. If we’re being real, though, there’s really only one answer. The shot-for-shot symmetry of Escape From New York and Escape From L.A.